Aussie playwright Jack Hibberd was in London when he got the urge to write a play about life in a small Victorian country town. He got out his atlas, closed his eyes and pointed his finger at a spot on the map – Dimboola was its name. And so it came to pass that this previously unheard of place in the Wimmera became part of Australian folklore. 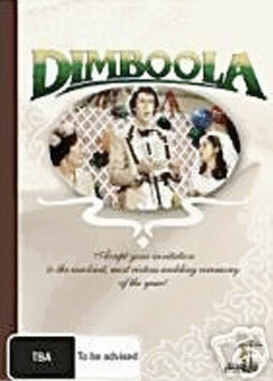 Dimboola was first staged at La Mama in 1969 and four years later at The Pram Factory. But it was its record breaking run in Sydney that convinced the collective of thespians and theatre practitioners that they should take it to the next level and turn it into a film. Securing the talents of director John Duigan and cinematographer Tom Cowan (both of whom had recently come up with the goods on Mouth to Mouth), the cast and crew hit Dimboola with a budget of just $350,000. The result is a pretty patchy piece, especially uneven in this new DVD release which restores many damaged scenes into the superior master print. But as a peculiar cultural artefact, the film holds much appeal. There’s the sweet central relationship between Maureen (Natalie Bate) and Morrie (Bruce Spence) who, over the course of a weekend, have a sedate tea party and an obnoxious bucks night thrown in their respective honours. As they inch towards the nuptials there’s a steady flow of good old fashioned okkerisms and a bunch of pleasant ditties sung by the likes of the grotesque Chad Morgan and adorable Frankie Raymond. Every nuance is keenly observed by Vivian Worcester-Jones (Max Gillies), a pompous reporter for the London Times, who decides that on this “ancient under-rump of the world”, the men are cowards, both physical and moral. And while he admits that he has only “tweaked the tip of the tail of the kangaroo”, one wonders if his summary, and indeed his very presence which was not in the original play, might have alienated both audiences and critics alike.